I’ve been hanging out at the Burnaby Heights a lot lately. This time I was in the mood for Mexican food. 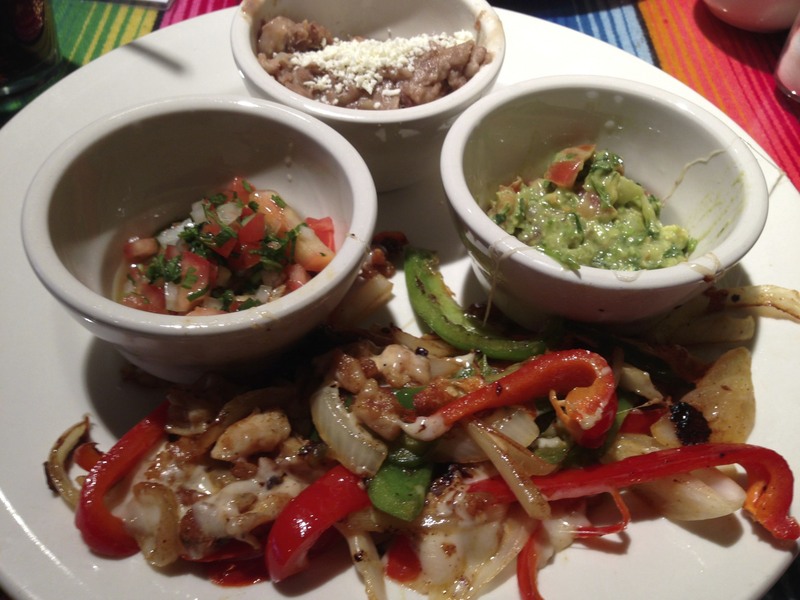 The term that comes to mind when describing this restaurant is “comida casera” or “homemade”. I found the food tasty, but it lacked the presentation flare. I also found that the prices were a little high for what you got. 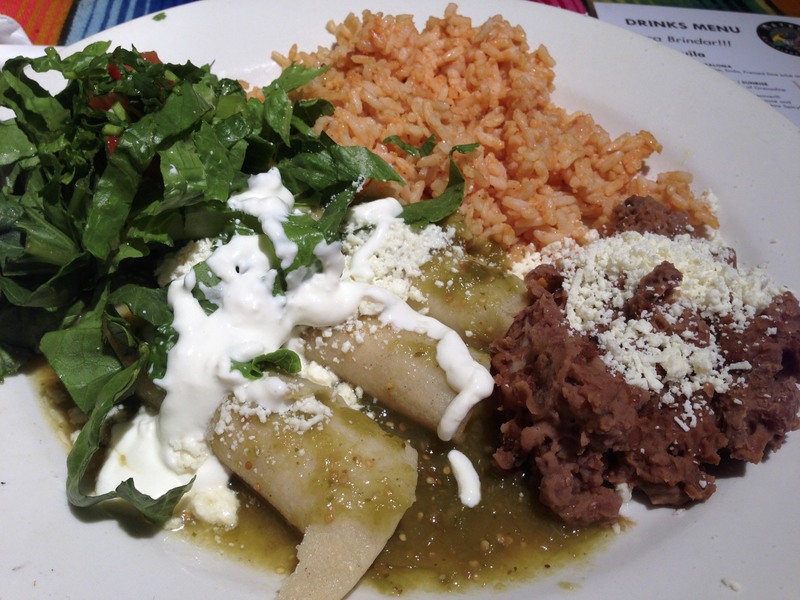 I ordered the enchilada platter for $14 – three tortillas with tomatillo sauce, beans, rice, lettuce, sour cream and cheese. I was told that the sauces and tortillas are made in house, and I got to admit, that way a tasty tomatillo sauce, very tangy and lemony, but I still don’t think it was worth the high price for the dish. We also ordered the chicken alambre, which is fancy for chicken fajitas, for $15, again, tasty, but not impressed with the portion size. For those who follow my blog regularly, you know that I hardly ever missed dessert. This restaurant didn’t offer any on the menu. When I asked the server for the dessert of the day, she told that they had ran out. I was disappointed. The service here was ok, nothing impressive, the waitress was adequate but not attentive. I did had to ask about dessert twice, and the bill took awhile to come to our table. The restaurant wasn’t overly busy at the time. Overall, this was a forgettable experience. This place would do for a quick Mexican food craving emergency, but not a place I would go out of my way to try again.